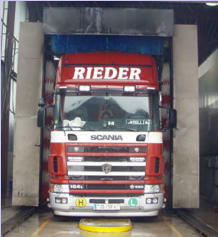 For the cleaning of their own vehicles and other vehicles is an automatic 3-Brush washing plant. 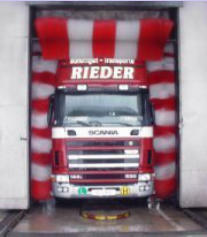 And often in the cleaning of the cargo area can be performed. Cleaning is paid by the customer in cash or get regular customers one invoice at the end of the month. The respective price ranges learn in the office.